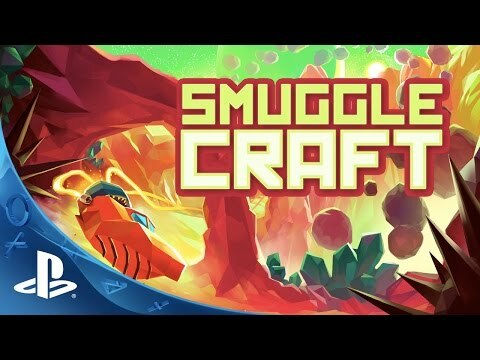 Smugglecraft is a quest-based hovercraft racing adventure. Pilot your Hovercraft to smuggle contraband, build upgrades, and escape the authorities as you discover the incredible stories of the inhabitants of the unforgiving and troubled world Dirahl. Dirahl is in political unrest. Forced caste systems divide its inhabitants. Each feeding off the other, fueling a system that only rewards the rich and powerful. With the constant oppression from the Auros, some Laborers have risen up to rebel against their evil puppet masters as Smugglers. Restricted travel and trade has made smuggling one of the most dangerous, yet rewarding professions in Dirhal. Ferre Astraea, a fearless young smuggler, crashed her hovercraft during a smuggling run. Hunted by the Skolos, she must now restart her days as a smuggler from scratch and take on contracts to pay her debt and upgrade her hovercraft, or face a fate worse than death. No two adventures in SmuggleCraft are alike. Tracks are procedurally generated, and with over 150 track pieces, every moment in your hovercraft feels like a brand new experience. From the dark depths of caves, to sandstorm clouds covering the roads ahead, smugglers will never know what to expect. Everyone has a story and a contract. Choose to fulfill their contracts, or betray them to take the contraband for yourself. Every choice made has a lasting consequence. Build or destroy your relationships with each of the Factions of Dirahl, one Smuggle run at a time. SmuggleCraft features over 60 hovercraft parts with different stat boosts and features. Will you outmaneuver the vicious bounty hunters, or mercilessly ram and destroy them. Build, upgrade, and customize your Hovercraft to fit your unique playstyle.